The property market has seen a gradual fall in sales and more properties are being made available on the rental market. If you have decided to rent a property and become a landlord, there are many things to consider. Make a good start by reading our short guide to carrying out a tenant inspection. Having the correct paperwork in order might sound like a very basic need of a successful landlord/tenant relationship but this is often ignored and forgotten about. Having the right documents and policies in place protects you as a landlord, as well as covering the rights of the tenant, providing both parties with a peace of mind. By formally signing documents together, it shows the commitment made by both. Templates for basic tenancy agreements, property inventories, and contracts are readily available online. Alternatively, ask your solicitor for advice or consult with an estate agent. You might decide that the best option for yourself is to let your property through an estate agent or management team. This can relieve the responsibility of the stress of renting and provide you with the advice and guidance you may need. As mentioned above, the property inventory is a vital document when carrying out an inspection of your rental. It is essentially a snapshot of the property and its contents upon being made available. This doesn’t include the tenant’s belongings, but all the fixture and fittings, any appliances or furniture. Make sure that you also include driveways, outside spaces, outbuildings, and garages that your property might have. If you don’t feel comfortable completing this yourself, then there are companies who specialise in these surveys. For more information we recommend watching Direct Line’s dedicated video. Co-operating with the tenant is a very important factor to a successful and productive relationship between a landlord and renter. By law, a landlord must give the tenant of a property at least 24 hours’ notice before an inspection or visit. This must be carried out at a ‘reasonable time of day’ or whenever convenient for the occupant. As a landlord, you should also be respectful of a tenant and their privacy. Mid-term tenancy inspections are common place on most lets, especially with shorter agreements. If you have a good, trusting relationship with your tenant you may wish to carry out inspections with a custom timeframe that suits your needs. 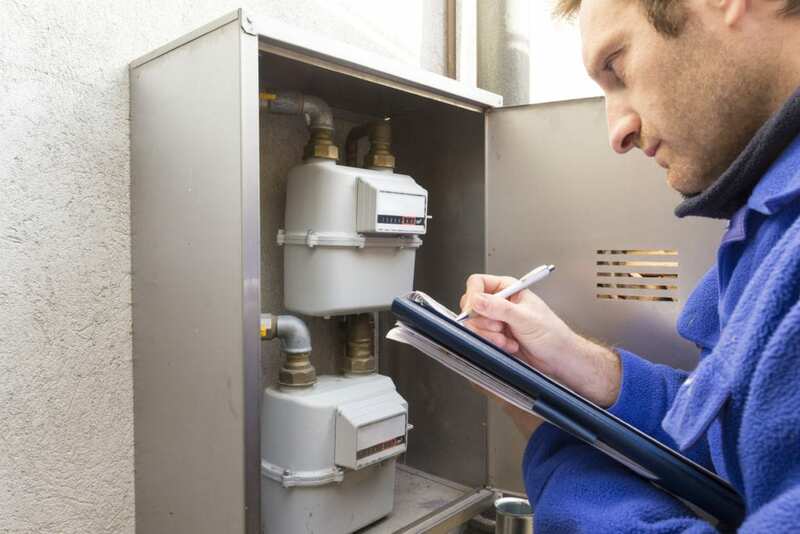 Taking pictures of any meters in the property is a useful and easy way of keeping track of expenses and can help produce a helpful resource for you as a landlord. This depends if bills are included or excluded in the tenancy agreement, however it’s a clever idea to take pictures before the start of a tenancy and at its conclusion. This approach helps avoid disputes over bills and energy and water consumption. After showing a tenant around and agreeing the contract and let period, the first inspection after moving in can be a quick visit to make sure things are in order. Take the time to answer any questions that your tenant might have and make them feel at ease. It’s best to be approachable and listen to any concerns. Tentatively make a date for the second inspection, but it might be best to be more flexible and agree a date over phone or email. Additional inspections should be carried out with enough notice and be conducted in a suitable time, there’s no need to take an hour over a 10 minute viewing. A dilapidation report is carried out by a neutral third party to asses the condition of a property or if it’s found to need repair at the end of a tenancy agreement. This process is often overlooked, but as a landlord you should be aware of the procedure, especially if you think the tenant has breached their terms. This obviously affects the deposit, but it must be said that it is quite rare for a tenant to damage a property they are letting. It’s just another measure to protect yourself in case things go wrong. Cloudy2Clear support landlords and homeowners needs through a variety of services. If you would like the best for your tenants, or your own home, please read about our services page for advice on replacing failed double glazing. If you are still unsure about renting your property, more information on what to do can be found here.